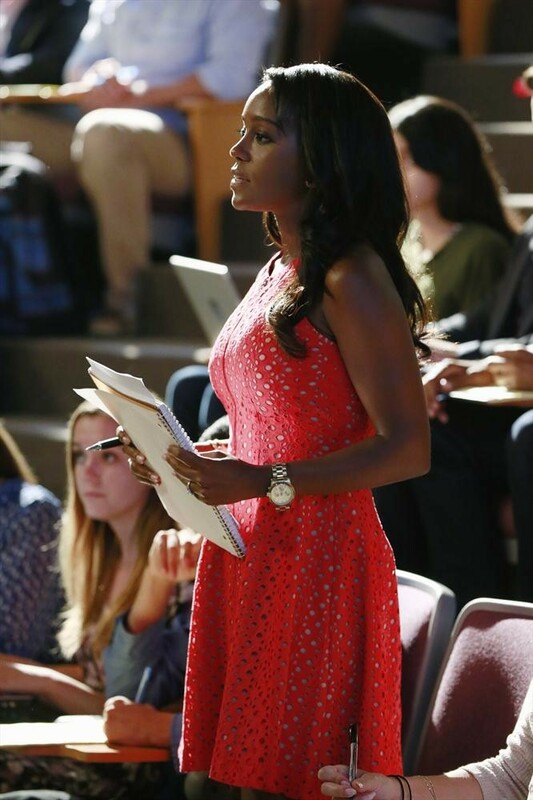 Remember Michaela Pratt from ‘How to get away with murder’? Yes, the overzealous law student once engaged (in the show) to the actor playing Merlin in ‘Once Upon a Time’. The girl whose character we love to hate because she thinks she’s above everyone else, but the same girl you can’t help but admire because she’s intellectual, fashionable, and has a clear goal of her future. 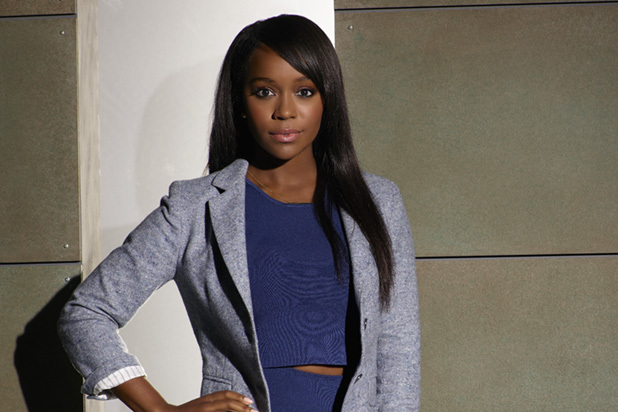 Her off-character name is Aja Naomi King. She’s an actress that has appeared in many shows including ‘the rewrite’, ‘Four’, ‘Emily Owens Md’, etc. However, the role we best know her from is in ‘HGAWM’, where her fashion is just impeccable and enviable. If you’re a fan of the show, you’ll understand why I love her fashion sense; a combination of professionalism, chic, elegance, and just the perfect mix of an outfit that’ll render anyone with overflowing confidence. When I look at her outfits,it reminds me that you don’t have to sacrifice dressing up just because you’re in school. In fact, that’s the place to do so, as you build up your level of professionalism. She starred recently in the movie “Birth of a nation” which was release in theaters on January the 25th, alongside Gabrielle Union, Nate Parker, Armie Hammer (the hot/hot tempered Russian spy from the Man from U.N.C.L.E.). Interesting cast + historical-based movie= ticket! Interesting Fact: Can you believe this actress is 31 years old??? I still cannot believe it. At the beginning of the show, I thought she was in her early to mid twenties. I know, I too am still in awe. I guess black seriously doesn’t crack! Anyways, as a fan of ‘HGAWM’, I can’t wait for its new season premiere Feb.11. It’s going to be epic.